Every minute, we use 2 million plastic bags globally. More often than not, we use these individual bags for a grand total of 12 minutes. Then they are tossed into landfill or the ocean, where they will never biodegrade. This throwaway culture that we've become accustomed to is severely damaging the world around us. We've taken a look at two community-led campaigns on opposite sides of the globe, and how you can re-create these in your own hometown. Not content with letting the environment suffer in the name of convenience, these organizations are eliminating plastic bags from their local towns through innovative ways. When filmmaker Rebecca Hosking saw first hand the effect of plastic pollution on wildlife, she set about getting them banned from her hometown of Modbury. 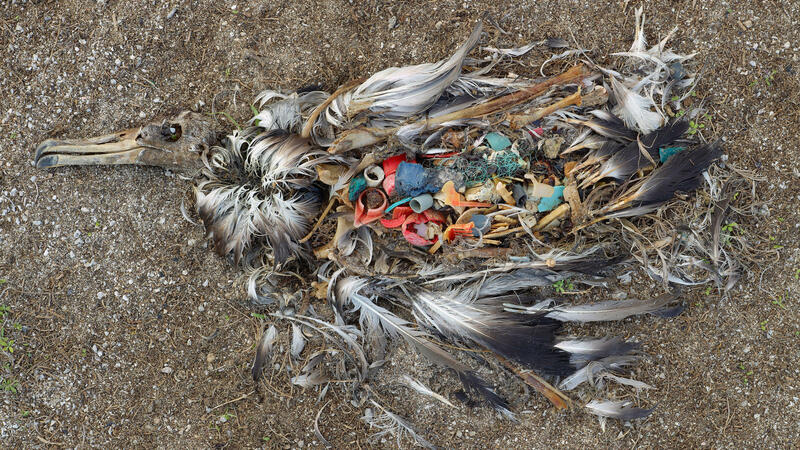 While on assignment in a Hawaiian atoll, Rebecca saw hundreds of dead albatross strewn on the sand; their bodies split open and revealing stomachs filled with pens, shopping bags and plastic toys. The image of these birds lingered with Rebecca long after filming wrapped up, and in May 2007 Rebecca Hosking successfully abolished the use of plastic bags from the small British town of Modbury. This was the first town to ban plastic bags in the Uk, and was thanks to the direct action of Rebecca and the community support that followed her campaign. When she achieved this, over 800 people emailed Rebecca in a single day asking how they could do the same. Rebecca Hosking is a testament to the fact that we don't have to wait for government to make the changes we need, that we have the power to do this ourselves. In the coastal city of Manly, Australia, 15 women have banded together to make plastic bags a thing of the past. Plastic Free Manly is an entirely community led organization and aims to ditch plastic bags in the iconic town by early 2017. The campaign, which has their second event on International Plastic Bag Free Day this weekend has been a roaring success so far. "Sometimes it's up to the community to drive the change they want to see in the world. Bringing your own bag when you shop requires a change in habit, but it's something everyone can do. If we all make a simple change, the benefits to our environment, to the home we leave our children, will be significant." The multi-faceted campaign focuses on working with the community, rather than against it to drive change. Partnering with local conservation groups and volunteers, Plastic Free Manly empowers businesses to change their habits through education and direct involvement. These two towns have been transformed through the actions of a collective of dedicated individuals, and you can do the same in your own community. Becoming a leader and acting on issues you are passionate about is not out of reach for anybody. Here's our step-by-step guide to helping your community make the switch to biodegradable bag options. Two heads are better than one. If you want to do something as big as turning your town plastic bag free, you can't do it alone. Reach out to people who are already in your social circle first, and then work from there to expand the group. Recruiting people for different roles is a must. Trying to juggle everything yourself is a surefire way to a burnout. Asking for involvement from people with different specialised skill-sets, such as experience in marketing, design, and teaching are all incredibly important in a community-driven campaign. Explaining the cold hard facts surrounding plastic bags is often a better way to engage than using overly emotive language in conversation. Why should the local grocery store switch from plastic to paper bags? Why would this be good for their business and community? Answering the 'whys' with balanced, rational and researched responses is the first step to gaining support. To change a mind, you need to first know your issue. If you're out and about in the community, you need to be able to answer any curveball question that may be thrown your way. If you're dedicated enough to start a community-driven campaign, chances are you already have a pretty good handle on the issue. If not though, do your research and learn as much as you can about the environmental impact of plastic bags. Referring to success stories, such as the ones mentioned here is a great way to motivate those who might be indifferent. Think about the brands that you can recognise visually instantly, even without reading their business name. Good branding means that you can see exactly what product you're looking at simply from their logo, font or even a particular colour. Developing streamlined communications material, logos and branding is crucial to a good campaign.You want your organisation and cause to be instantly recognisable. Professional looking communications material that engages with an audience is one of the most important parts of a successful campaign, which is why reaching out to designers and marketers, is so beneficial. Plenty of creative want to use their skills for good, and are often willing to create work for a campaign pro-bono. [Image caption] The consistent, recognisable and modern branding of Plastic Free Manly. The main aim of the game is to encourage people and businesses to use bags that are made of a material that is compostable, minimising impact on the environment. Get out there in the community and chat to business owners, local government and schools to spread the word. Maybe there's a mum involved in your campaign who wants to talk to the students at their child's school about the issue, or a local council member who can bring up your campaign at a meeting. In the case of the Plastic Free Manly campaign, businesses really appreciated members taking the time to visit each shop and explain what the campaign is all about. Businesses already plastic bag free were offered a sticker and sign to place in their shop front, so they could be loud and proud about their bag-free business. For those that hadn't made the transition yet, that initial conversation is the perfect way to kick-start their journey to plastic bag free! While it's possible to run a community campaign on a small budget, a little extra cash can be helpful. Local businesses that support the project are great options to help with funding, and allow them to be part of a wonderful community projects. Local chambers of commerce and council are also often happy to help out with community projects. Build momentum on social media and contact media agency's before you officially launch your campaign. Getting an entire town or community to go plastic bag free can be a long and hard road. With a dedicated support network behind you, creating change on a bigger scale is possible. 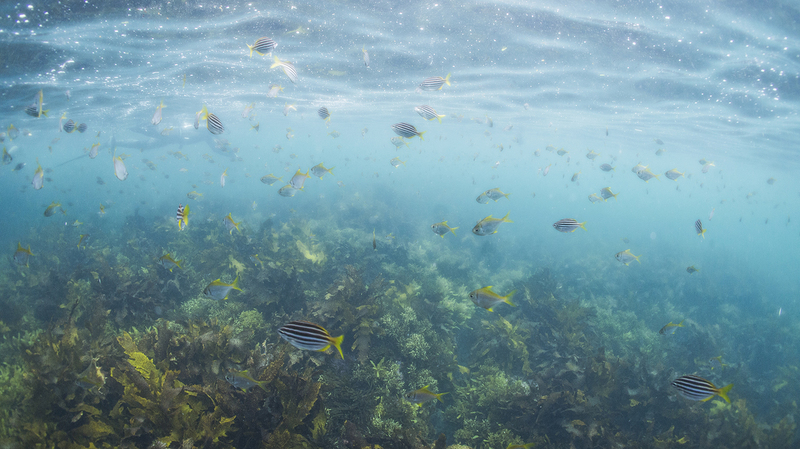 There is expected to be more plastic than fish in the sea by 2050, so there has never been a better time than now to start your very own community driven campaign. Melbourne's Erin Rhoads has lived two years plastic free!